Our goal is to connect you with people who are at a similar place in their life as you are. While your age may be important, we believe there’s more to it than that and we would rather not put you in a box based on what it says on your birth certificate. Instead, we use age just as a starting point. Introducing Life Stages by Dashing Date. Below are the 4 Life Stages that we currently cater to for our speed dating events. To keep things simple, we start with an age group and then explain what you can expect when meeting other people from that same Life Stage. Use this information as a guide to make the most of your Dashing Date experience. 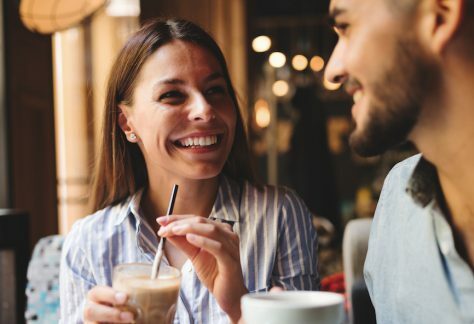 Generally, in this Life Stage, you’ll meet other young professionals that are looking for a long term relationship, someone with whom they can explore life with! They are often open to marriage and/or starting a family for the first time. Based on our previous events, you can expect to meet women ages 28-40 and men ages 32-45 in this Life Stage. Based on our previous events, you can expect to meet women ages 38-46 and men ages 42-52 in this Life Stage. Generally, in this Life Stage, you’ll meet other professionals looking for a life partner. Marriage is often less important, any children are mostly independent, and they’re far too wise for any dating games! Based on our previous events, you can expect to meet women ages 44-56 and men ages 48-60 in this Life Stage. Generally, in this Life Stage, you’ll meet other young ambitious professionals excited to explore the dating scene. They mostly date online but are tired of swiping and want to step out from behind the screen. Based on our previous events, you can expect to meet women ages 24-32 and men ages 26-34 in this Life Stage. While we focus more on Life Stages than exact age, we do still pay close attention to the age range of the guests and there are strict limitations. If someone is up to two years above or below the expected age group (as outlined in each Life Stage category), it is still OK to attend. Beyond that, they must ask for permission which is handled on a case by case basis. The Life Stages do overlap and it’s possible you’ll find that you currently identify with two Life Stages at the same time. As long as you fall within two years above or below the expected age range, you can still sign up. If you strongly feel you are a good fit for an event and fall quite a bit beyond the expected age group, please contact us. Ready to Dash on over?